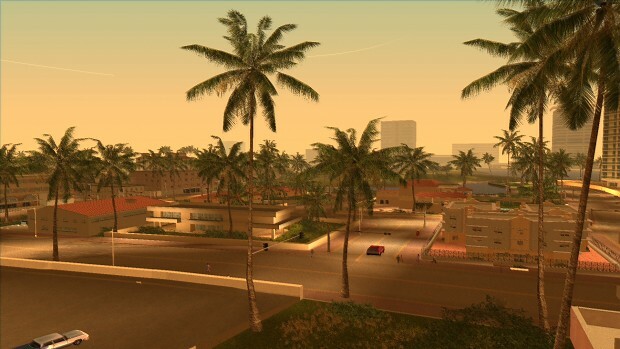 Vice Cry – a mod for GTA Vice City, which aims to drastically improve the appearance of the city, by replacing the old textures and models with high quality ones. Vice Cry HOTFIX increases engine limits. It also repairs object flickering, alpha bugs, garage bugs, radar icon bugs and crashes IN NEW GAME and OLD SAVES (NO RESAVED ON VICE CRY 1.8). Corrupted saves can not be restored. We deeply apologise for that. Vice Cry HOTFIX increases engine limits. It also repairs object flickering, alpha bugs, garage bugs, radar icon bugs and crashes IN NEW GAME and OLD SAVES (NO RESAVED ON VICE CRY 1.8). Corrupted saves can not be restored. We deeply apologise for that. Thanks Thanks Thanks.You are good humans. Is it for installed v.1.8 or final build consists this hotfix? Seeing how the date on 1.8 installer hasn't changed, I assume it doesn't contain the fix (yet?). You should install it anyway IMO, it's less than 2mb. The release date of v.1.8 is 17.12.2014. The release date of this hotfix is 25.05.2014. This hotfix released 7 month before version 1.8. I guess it is not required to be installed. Is there really no way to fix gamesaves ? No, unfortunately no. If there was a solution, we'd immediately submit the fix here. However, Silent made this hotfix right after discovering all the issues with the current Vice Cry release. It took about a week, which is not a long period of time, honestly. I understand that garage and icons problems may be (very) annoying, but they've been occuring for 8 days only. Now, everything works as it should. Does it work with Vice Cry 1.8 ? It is made for Vice Cry 1.8. Ponowne zainstalowanie spolszczenia powinno pomóc, ale musisz się liczyć z tym, że czcionki w grze zostaną zastąpione na nieco gorsze jakościowo. W Vice Cry 1.8 wszystkie pliki z czcionkami zostały wykonane od zera (na bazie tych samych czcionek, z których korzystało R*) a nie odświeżone, jak wcześniej (w 1.7 i spolszczeniu HD). Na potrzeby 1.8 przygotowałem wstępnie polskie czcionki, żeby wykorzystać je w nowej wersji spolszczenia, ale wraz z premierą 1.8, Kov zdecydował, że nie chce pracować nad projektem, więc to sytuacja patowa. Jeśli kiedyś wrócimy do pracy, to na pewno powstanie spolszczenie, które będzie poprawnie działało z 1.8 - to mogę powiedzieć na pewno, ale nie chcę niczego konkretnego obiecywać, bo nie mam pojęcia, jak to będzie. Whenever I enter the fast car at my mansion, the game crashes. Well, it may be an issue that I could help you a little bit with. But did you mod your car, replacing it, you know? After cutscenes, the games is stuck at a black screen for a long time before it finally loads back into gameplay. Hmm... Is your computer aggressive at least so you can play the game? Because. This need a little good system requirements. Make sure you have that. If it's not that then tell me, because it may be you modded the game a little even :/. But anyway replay. Here's the link to Polish version which includes HD fonts and loading screens. It was there earlier but it got removed for some reason. Could use help with Vice Cry Hotfix. Im not sure wich folder should it be installed into (yes i know Vice City one but inside that should it go to the CLEO or Vice Cry folder ?). Ingame i got issue with some odd flickering (like blood when i attack someone with chainsaw - blood drops and rain drops are black instead of red / white).Also when i look up during daylight with camera i got that odd black semi transparent flickering. Any ideas what i did wrong ? Not sure, but have you modded your game with CLEO or blood etc? It may cause things :/. Replay back to this and I will see what you will replay again. Keeps crashing when I get near the biker club.